You don't need a strategy to play Taiga. However, it is advisable to keep an eye on the animations, since they suddenly turn much more realistic once they are part of a winning combination and on an active pay line. This holds only for the animal animations. That is, only, for example, the squirrel, fox, and wolf will become more realistic, whereas the different fruits, nuts, and mushrooms are constant in their appearance. To summarize the animations in this game, it is all a bear needs to survive. But that's not all. The bear also has competition in the form of a, probably Siberian, tiger that functions as the bonus symbol. 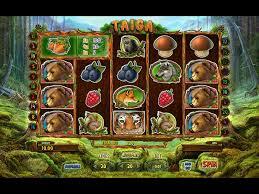 Taiga is a slot by software developer Playson that has five reels and four rows fitted with 20 pay lines. The main character in the game is a bear, and the game takes place in a boreal forest. 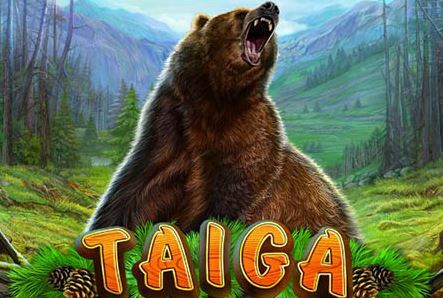 And the overall theme of the game, the Taiga, also come back in the animations. The background of the slot is tranquil and consists largely of earth tones. 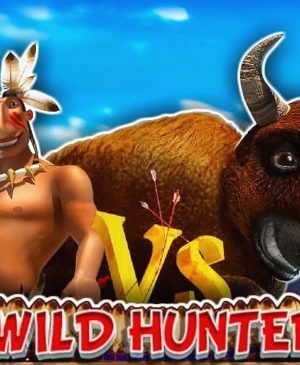 Unfortunately, and contrary to the rest of the slot, the sound effects and background music are a bit crude and do not fit the tranquility of the game. You don’t need a strategy to play Taiga. However, it is advisable to keep an eye on the animations, since they suddenly turn much more realistic once they are part of a winning combination and on an active pay line. This holds only for the animal animations. That is, only, for example, the squirrel, fox, and wolf will become more realistic, whereas the different fruits, nuts, and mushrooms are constant in their appearance. To summarize the animations in this game, it is all a bear needs to survive. But that’s not all. The bear also has competition in the form of a, probably Siberian, tiger that functions as the bonus symbol. The slot is fitted with a total of 20 pay lines, but you get to decide on how many of them you want to play. Still, it is advisable to play on all 20 of them as that would mean you have the best chances of having wins form as possible. At the bottom of the slot, you can find the pay lines and the pay table, the latter of which you can consult if you need any additional information while playing. Also, the slot offers an autoplay with which you can let the slot spin and place bets automatically. The default, and minimum, bet in this game stands at no less than 1.00. So, playing with all 20 pay lines would already cost 20.00, which is quite sizable. But, it will be worth your while. When the bonus symbol lands your reels three times, you unlock free spins. And with each three bonus symbols, you receive five free spins, something which happens quite often. Luckily, the autospin will turn itself off once you reach free spins. Other than the fact that they’re free, the free spins on Taiga aren’t very special. One thing you will want to keep an eye out for is the Taiga bear. Once five of these bears land on an active pay line, you win 1000 times your bet. And that would lead to great monetary gain, even if you’re playing with a small bet! 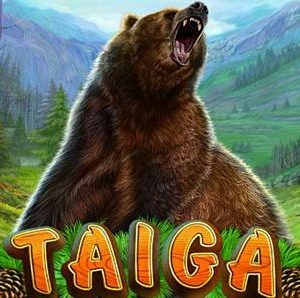 Taiga, like many other games by this same developer, very quickly gives away the fact that it is a Playson production. And also this game does not have a jackpot. 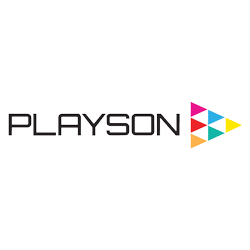 However, Playson’s eye for detail compensates royally for that. Also, the fact that you can win 1000x your bet with just one single symbol, can also count as a kind of jackpot. 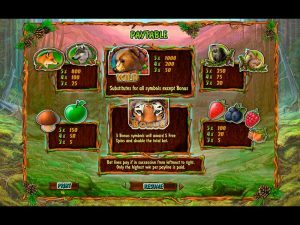 Whichever way you look at the slot, it does not need a jackpot as the game is already entertaining and potentially lucrative enough. The only thing the developer should have done differently is the background music and sound effects.